First stop is to visit Club Mahindra resort at Kodaikanal. 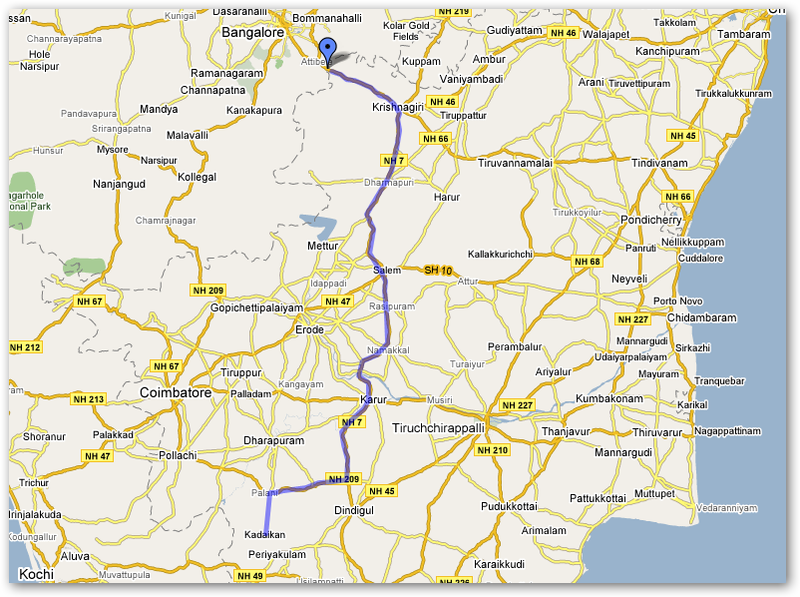 To chart out the driving directions, I used Google map's new 'create personalized map' feature and here is how it looks. This URL can be used to get driving directions from Bangalore to Kodaikanal. I will also be visiting Trivandrum and Kochin.